VisorCentral's Marcus Adolfsson got his hands on the Visor Edge yesterday - below you will find his initial thoughts. Note: James will have an extensive review (with better photos) of the Visor Edge published by the weekend. 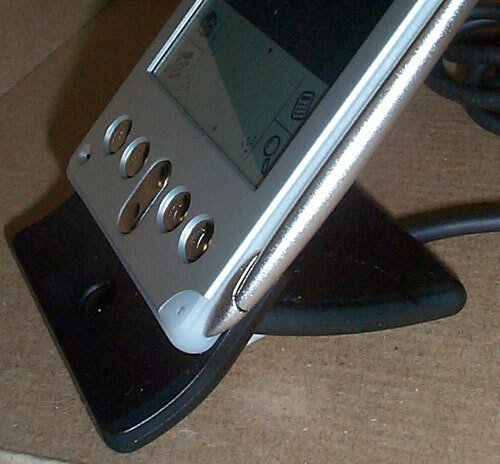 If Bang & Olufsen produced PDAs, this is the design they would have chosen. 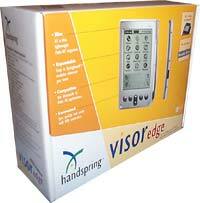 Visor Edge is definitely one of the most elegant PDAs I have ever seen. 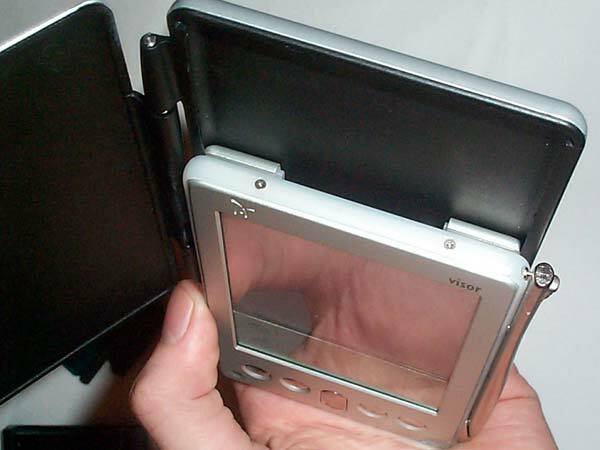 It might appear boxy at first glance, but take a second look and you will find design elements and attention to details never before seen in a PDA. 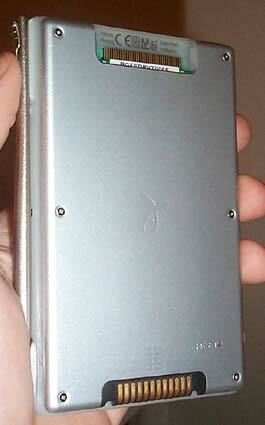 Starting with the front, we see a beautiful metal plate surrounding the screen and graffiti area [picture]. 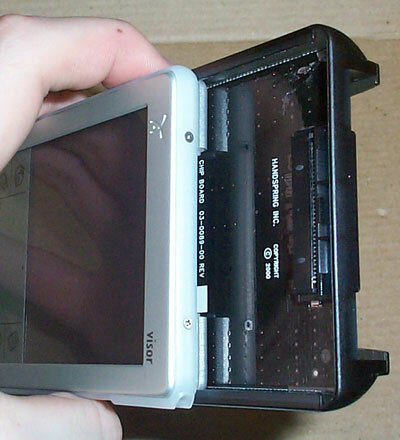 The screen is almost identical to Visor Platinum's, with one slight improvement: The backlight is noticeable brighter. 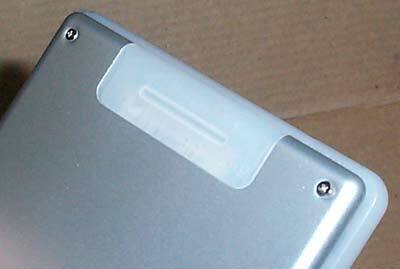 The applications and scroll buttons are also in metal, however unlike the rest of the Visor family these buttons are convex, not concave [picture]. 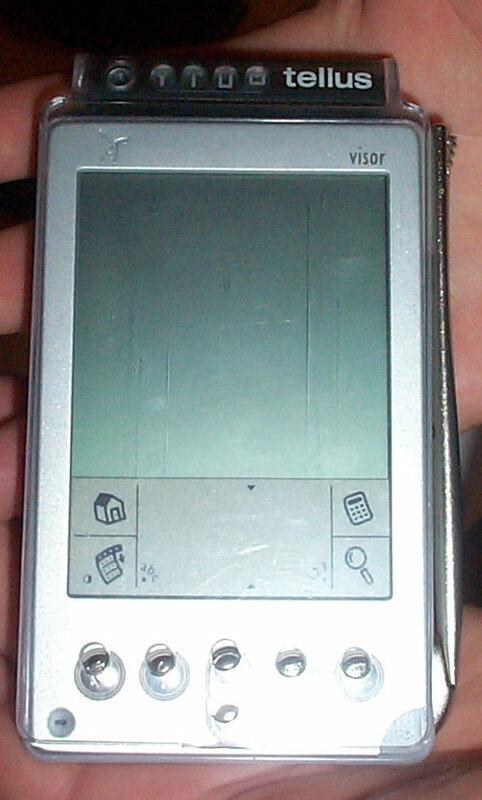 The power button is located in the bottom right hand corner. 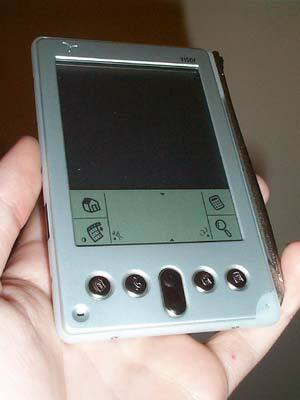 Rather than being in metal it is made of plastic, because it also functions as a silent alarm and charging indicator. The stylus bundled with Visor Edge is one of the best "factory" stylus I have seen in a long time. 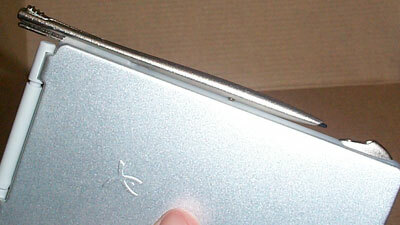 Purely made out of metal, this stylus has an excellent shape (thicker towards the bottom) and near perfect weight. And like the rest of the Edge Package, it is stylish. 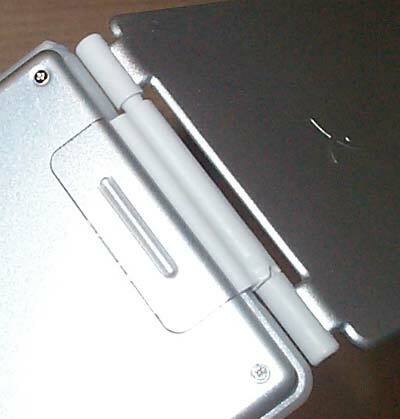 To release the stylus, simply press down on the lever located at the top, and push the stylus upwards. Inserting the stylus is equally elegant. 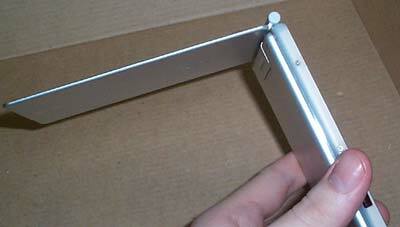 Align the stylus with the holder tracks and push down until you a "click. It is great to have the Springboard expandability option, even though Visor Edge owners might not use that option too frequently. 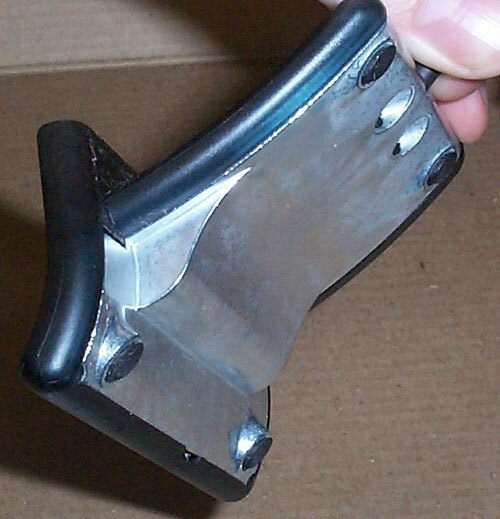 Springboard developers can also make expansion products that fit directly into the Edge Connector and therefore fit the design of Visor Edge better. That's all I got for now. Additional information will be added later today.